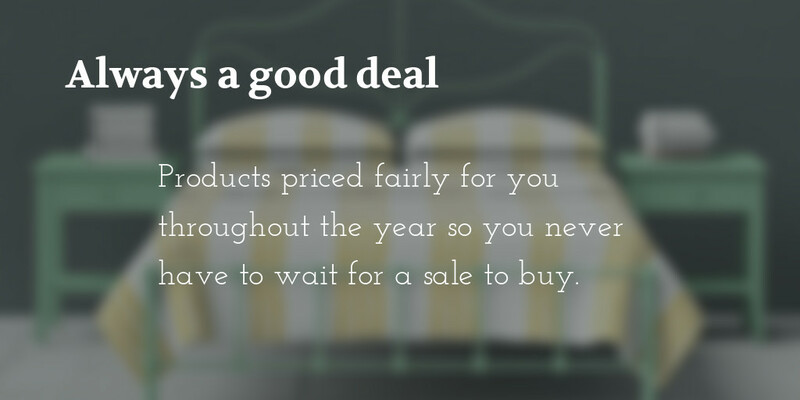 At the Original Bed Company we price our products to be the best price year round. This is the reason we usually don't have any sales when others are usually on sale on days like Black Friday or the run upto Christmas. We try to provide good product at a reasonable price year round. The prices on our website is what we feel is a good deal for the bed or mattress you are buying. However, we do offer certain discounts or deals on products on our social media. These will only run for short periods when we have the capacity or redundant stock so that we can pass some saving onto our customers. To stay up to date on any deals follow us on The Original Bed Co. instagram page where all our deals will be posted as stories.